These tracks are the only things remaining from the plant that manufactured the liberty ships, that were created for world war two. The plant itself was dismantled the rest of the way last year. 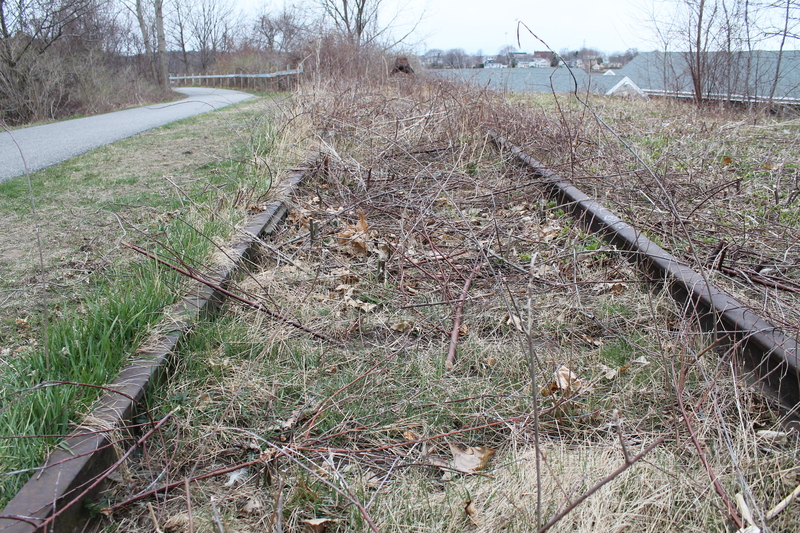 The tracks were used to transport Iron to the plant in South Portland. There is now a memorial to the ships in the buglight park. This entry was posted on April 16, 2012 at 11:23 pm and is filed under Uncategorized. You can follow any responses to this entry through the RSS 2.0 feed. You can leave a response, or trackback from your own site. With havin so much content and articles do you ever run into any problems of plagorism or copyright violation? My website has a lot of unique content related with colon cancer I’ve either authored myself or outsourced but it appears a lot of it is popping it up all over the internet without my authorization. Do you know any techniques to help protect against content from being stolen? I’d genuinely appreciate it. The only thing I know is to have proof of the date of creation. All of mine are saved in a special file at the moment of creation, they are posted later. I found some abandoned tracks here a couple of months ago and followed them to where they ended: in the Pacific Ocean. That’s something I would try to get to the bottom of. The go to where an old salt plant used to stand. After World War II, the plant closed down, was removed, and the area converted back to a salt marsh. It’s part of the Sweetwater Marsh Wildlife Refuge now. If I didn’t live on the opposite coast, it sounds like the kind of place I would love to visit. When you get to San Diego, just give me a call!